Hello, I would like more information about the 1997 CLUB CAR DS, stock# A9728-585090. Hello, I would like to see more pictures of the 1997 CLUB CAR DS, stock# A9728-585090. 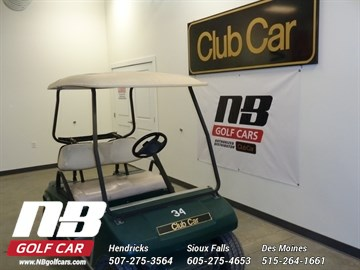 Ready to drive this 1997 CLUB CAR DS? Let us know below when you are coming in, and we'll get it ready for you. Please text me about this 1997 CLUB CAR DS (A9728-585090).